Winter is Here... and that means Game of Thrones betting odds are plentiful. With Episode 1 behind us, it's time to take a fresh look at the 'Who Will Rule Westeros?' betting market. Who do the bookmakers think will sit on the Iron Throne when all is said and done? Now that Jon Show knows he's a Targeryen, will he push to wear the crown himself and oppose Daenerys' claim? All that and more is covered in this guide to betting on who will rule Westeros at the end of the final season of Game of Thrones! Comparing Odds: Who Will Rule Westeros? The Night King offers great value if you think GoT ends with a dark twist. You won't find many fans rooting for the Night King to sit on the Iron Throne at the end of the show but George R. R. Martin is known to throw his fans for a loop so it's not unrealistic to imagine the show's villain winning out and killing everyone else. Arya Stark seems like she could be the bet to consider in a lot of markets but for her to rule Westeros a lot of people will need to die. All those people dying isn't out of the question but even assuming everyone in front of her passes before the final scene cuts, would Arya even want to sit on the Iron Throne? A wealth of fan-theories suggest Bran is destined to rule Westeros (and might be the Night King) which is why he's among the favourites to sit on the throne at show's end. Bran is a warg and currently the three-eyed raven. He's also showed an ability to affect the past and control time so unless Bran dies, it's tough to envision a situation where he doesn't rule. Jon, or Aegon, has long been the expected Ruler of Westeros especially after it was affirmed R+L=J. The only thing standing between him and sitting on the Iron Throne is his life ending before the show ends. If Jon survives the Great War, he is sure to be the character sitting atop the Iron Throne in the end. It seems the Starks could be the only family left after all is said and done but if Jon Snow doesn't live to see the end than Sansa listed at 5/1 is a great bet to sit on the Iron Throne. She also does not see battle often and is always a solid bartering chip if captured, another reason she's a safe bet to last till the end. Tyrion, a fan-favourite, offers 10/1 odds to emerge from all the battles to sit atop the throne. This isn't so outlandish of an idea if you believe the fan-theory suggesting Tryion is really the son of the Mad King and a Targaryen. If Tyrion is in fact Daenerys' older brother, he is the rightful heir to the Iron Throne. Leading up to Episode 2 of Season 8, some bookmakers have moved Jon Snow, or should we say Aegon Targeryen, to the favourite. Paddy Power even went as far as putting any child Jon bares as second favourite. Daenerys opened the market around 9/1 odds to rule Westeros but following Episode 1, some betting sites moved her closer to 4/1 just behind Jon/Aegon. Bran Stark was the favourite across most specials betting sites before the season started. Some bookies have left him around 4/5 following the first episode but others are now offering him at 4/1 after Jon found out he's really Aegon. If you're a regular on GoT forums Bran to rule at 4/1 could be good value considering the theories flying around about Bran and the Night King. It's tough to imagine Martin ends his epic series with such an expected outcome: Jon/Aegon defeats the white walkers and ends the show as the Ruler of Westeros. Backing Jon to sit on the Iron Throne at 5/1 won't be ridiculed by any means but it's a safe bet on a show that loves a good plot twist. If you're looking for someone other than Jon or Dany to bet on, back Tyrion 10/1 to sit on the Iron Throne at the end of Season 8. There is a fan theory floating around that Tywin Lannisters' loath for his son Tyrion does not come from the death of his wife Joanna Lannister during Tyrion's birth but instead because Tyrion is actually a product of an affair between King Aerys Targaryen II and Joanna. We know the Mad King fancied his Hand's wife so an affair certainly isn't off the table considering the King always gets what he wants. And Tywin's hate for Tyrion seems to run deeper than an accidental death during birth. The most convincing evidence Tyrion is a Targaryen came in Season 6, Episode 2 when he went to visit the dragons and they didn't immediately unleash a fiery hell on him. If Season 8 reveals Tyrion is actually the eldest living son of Aerys Targaryen II, Tyrion is the rightful heir to the Iron Throne over both Jon and Dany. What channel is Game of Thrones on? Game of Thrones airs on HBO in the US while Sky Atlantic airs the show in the UK and Ireland. Is Season 8 the last season? Yes, Season 8 will be the final season of GoT. How many episodes will there be in the final season? There will be 6 episodes. The first episode aired Sunday, April 14th, 2019 at 9:00 pm EST. The first episode of Season 8 was 54 minutes long. The second episode is expected to also be under an hour (58 minutes). The rest of the episodes will be close to 80 minutes each with episode three tallying the longest run time at 82 minutes. Can I bet on Game of Thrones? Absolutely, most betting sites that cover TV specials betting will offer an extensive market for the show. What are the most popular GoT bets to place? 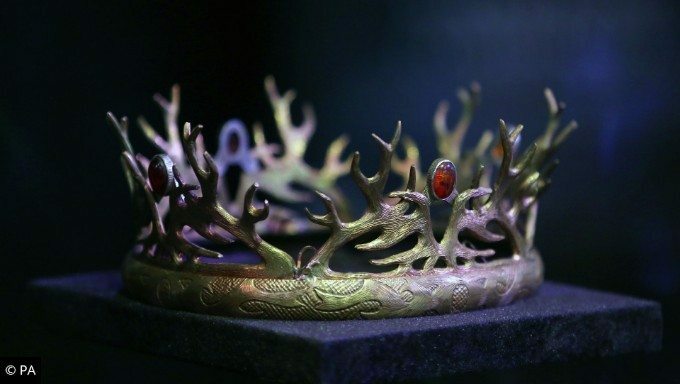 Betting on who will rule Westeros when the show is over has always been the most popular bet, but GoT prop bets such as who will die first each season or who will kill a popular character garner plenty of action.